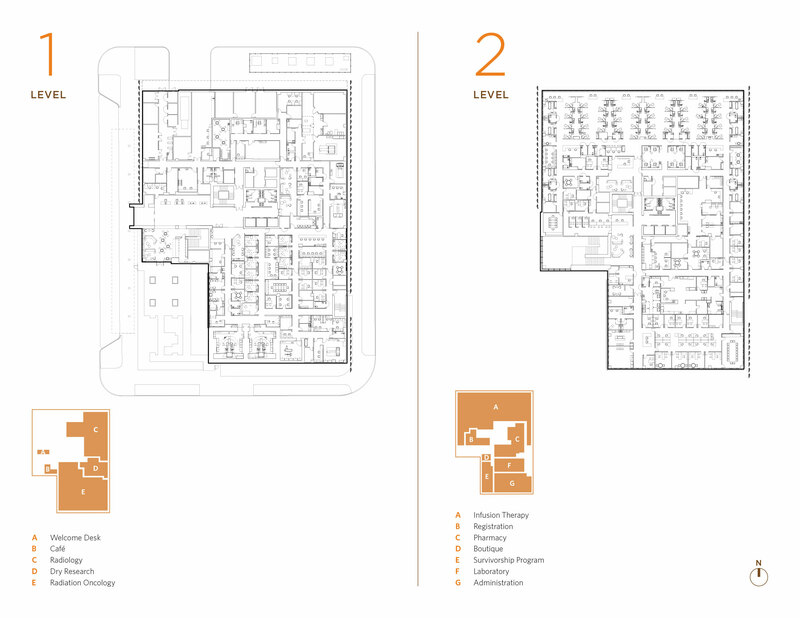 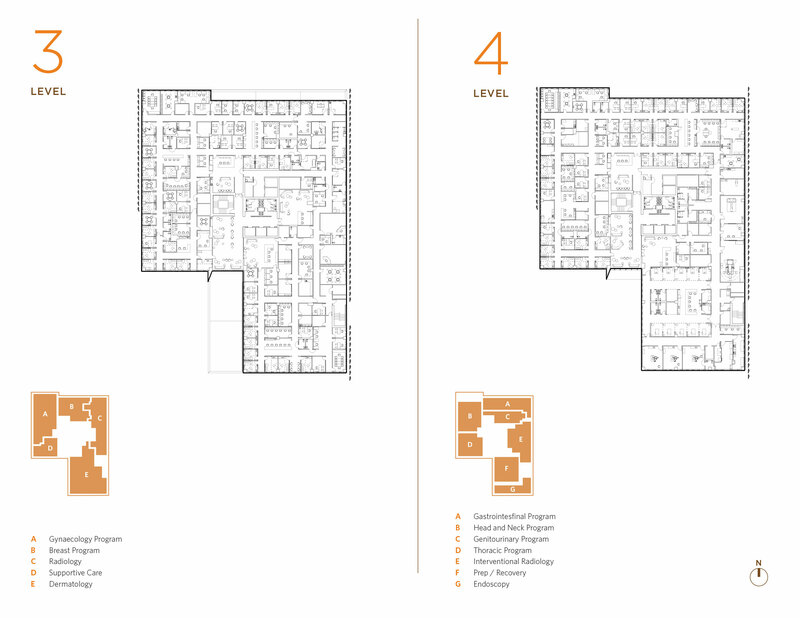 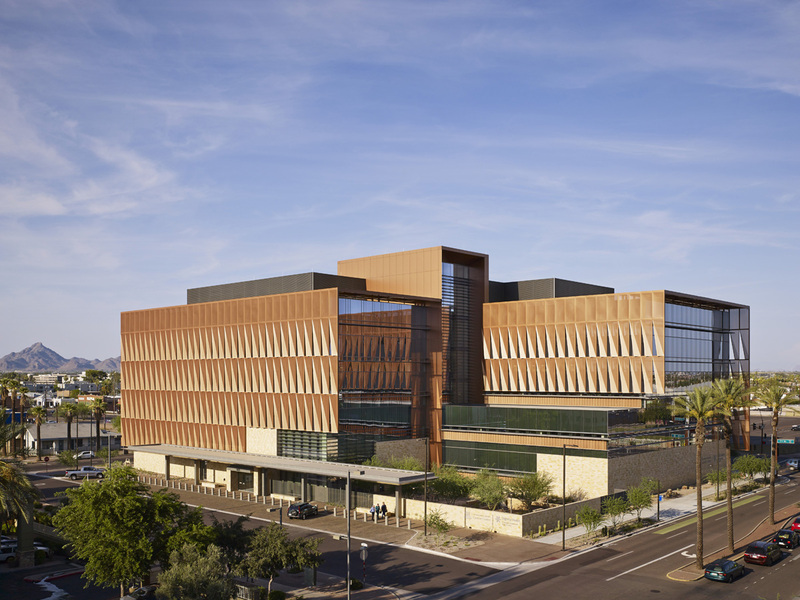 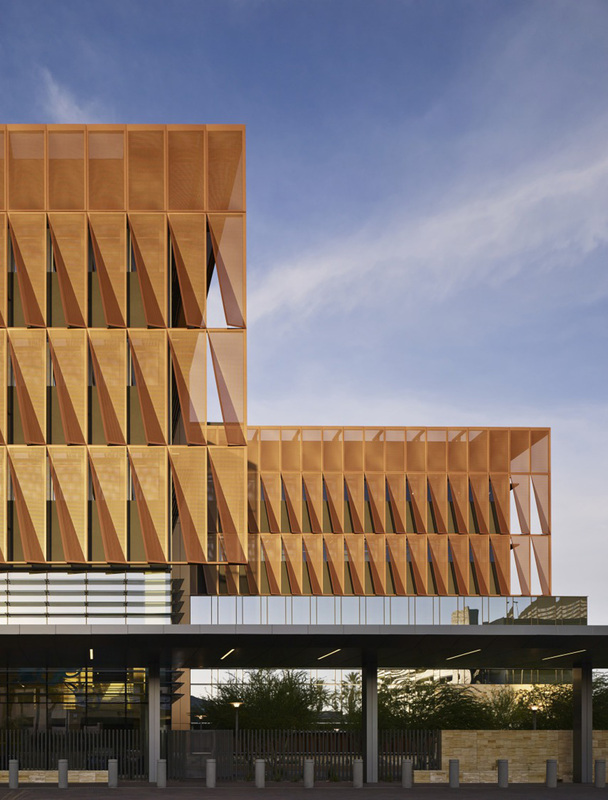 ZGF Architects teamed up with Hensel Phelps Construction to deliver a custom 220,000-square-foot design-build cancer center for the University of Arizona at Dignity Health St. Joseph’s Hospital and Medical Center. 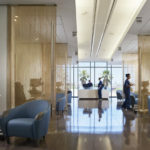 The facility incorporates an “evidence-based, multidisciplinary model of healthcare” and utilizes the most modern technologies. 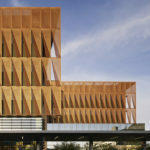 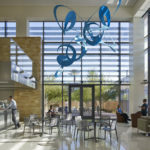 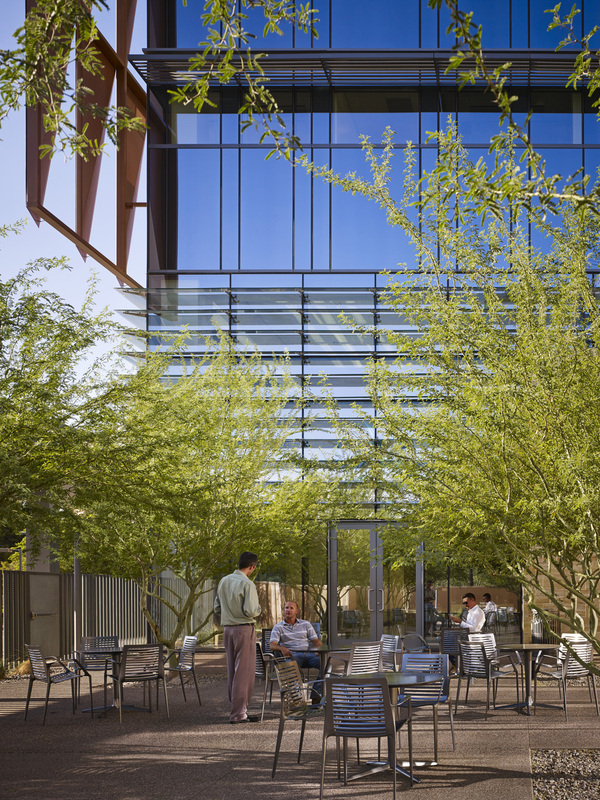 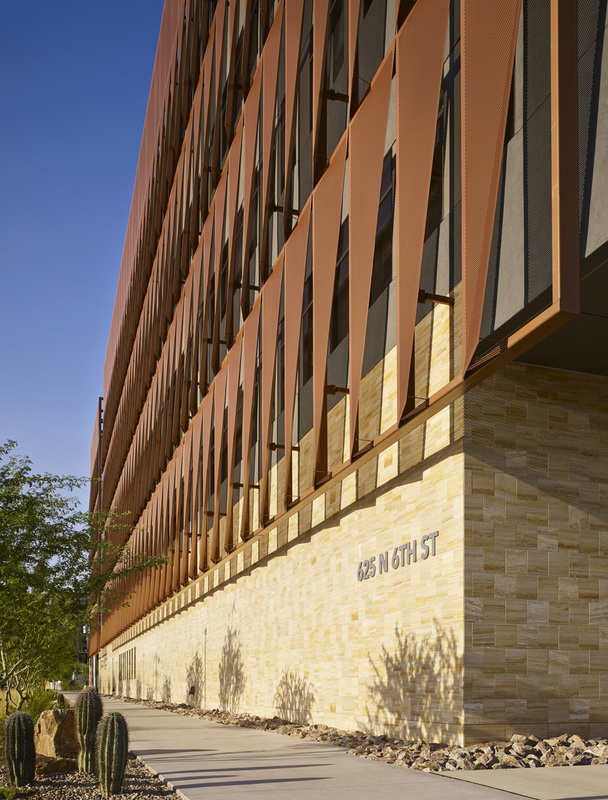 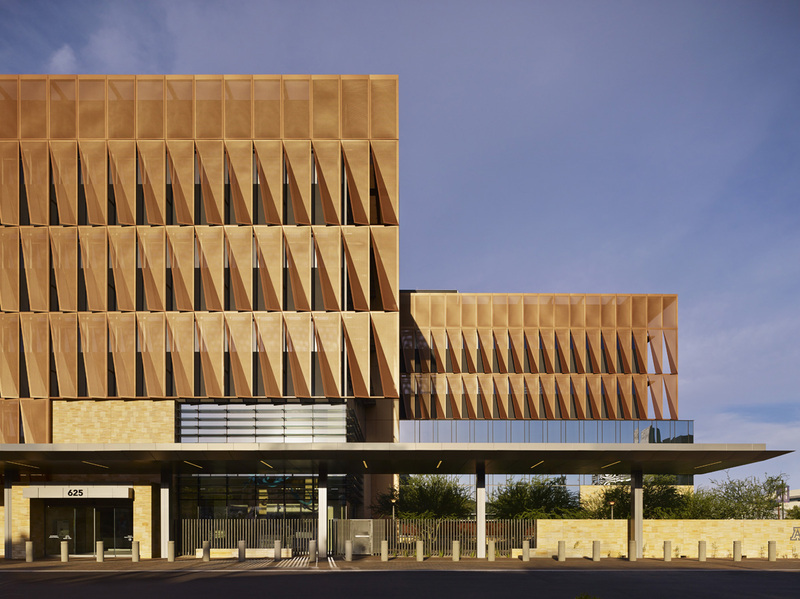 An exterior shade system, along with chilled beams—the first to be used in an Arizona healthcare setting—greatly contribute to the facility’s sustainability. 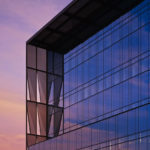 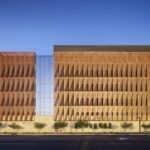 The east and west facades are clad with a solar shading system composed of repetitive rectangular quarter-inch aluminum composite panels (ACP) perforated with half-inch diameter holes yielding a 40 percent openness factor. 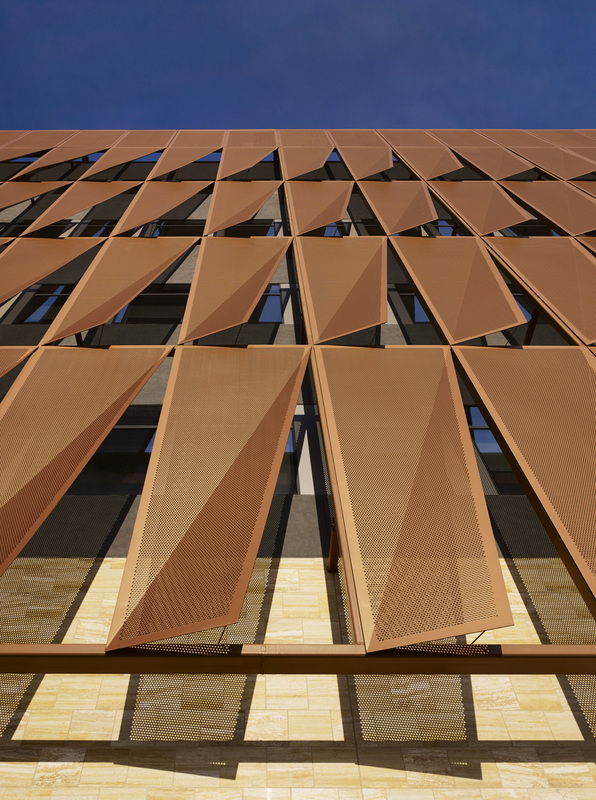 The panels are folded once at a calculated angle, bending outward to reveal a shaded view of the surrounding desert context from the interior. 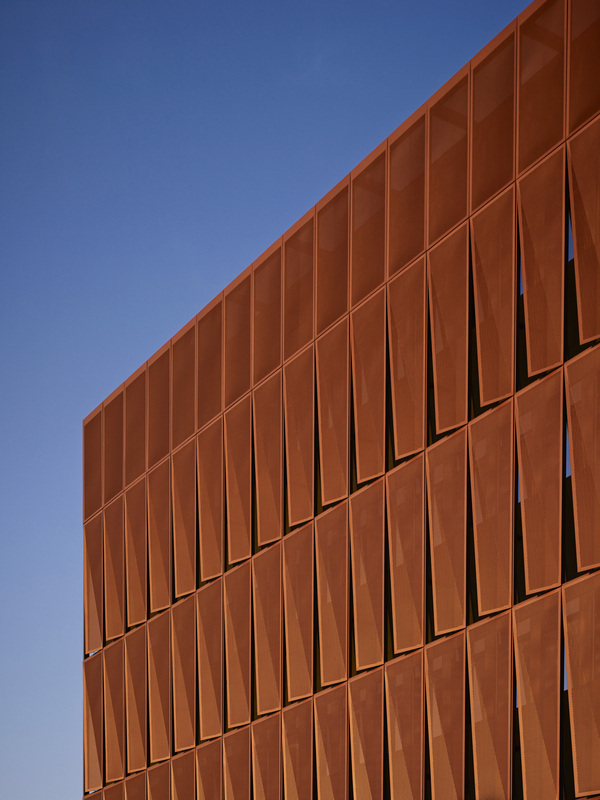 This copper-toned assembly takes on the coloration of the landscape, adding a contextual aesthetic to the project. 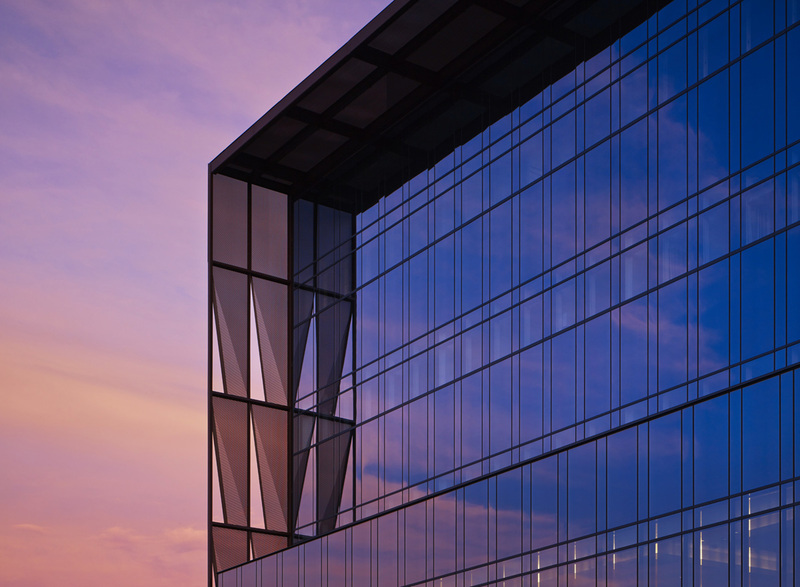 The assembly sits 30 inches off a facade of stucco and curtainwall glazing—a dimension that allows maintenance access to the exterior envelope for clean­ing and repairs. 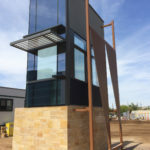 The panels are supported directly by a tube steel frame hung from a series of outriggers that cantilever from a hefty 16-inch reinforced concrete roof slab. 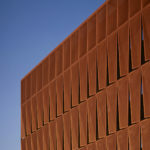 These “diving boards” establish a dimensional grid that is constructed from the individual 15-foot-6-inch by 5-foot-3-inch panels. 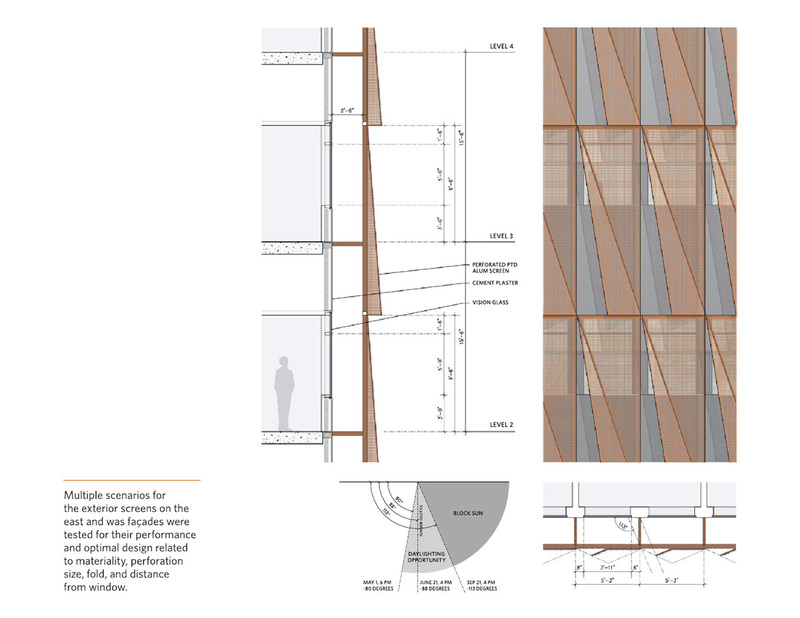 Additional outriggers on the same grid provide lateral support, tracking through the facade onto the slab edge. 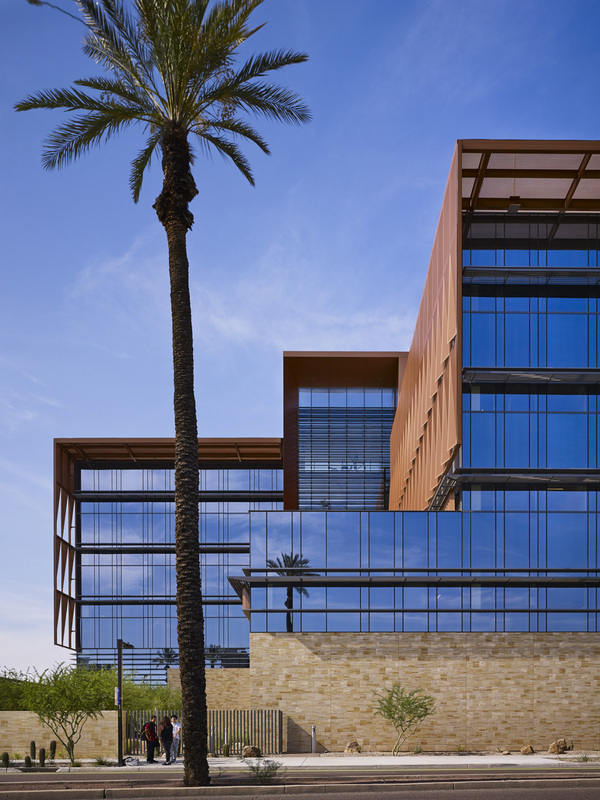 The project delivery was design-build, per University of Arizona’s requirements. 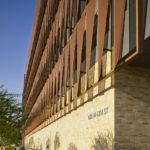 Mitra Memari, principal at ZGF, said the process benefitted from a close working relationship between ZGF and Hensel Phelps, which previously teamed up to complete a different project on University of Arizona’s main campus: “Having gone through this process, one of the key factors in making a design-build project successful is the relationship. 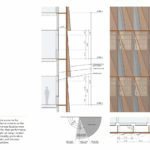 Hansel Phelps knows ZGF very well and our design aesthetic, and we know Hansel Phelps very well…specifically individuals who worked on the project. 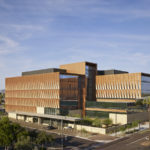 This played well for the university and the end product.” Memari said the success of the collaboration is evident in the fact that, for the $74-million project, over 90 percent of the 450 RFIs received were “confirming RFIs” to provide clear communications and exact resolution records. 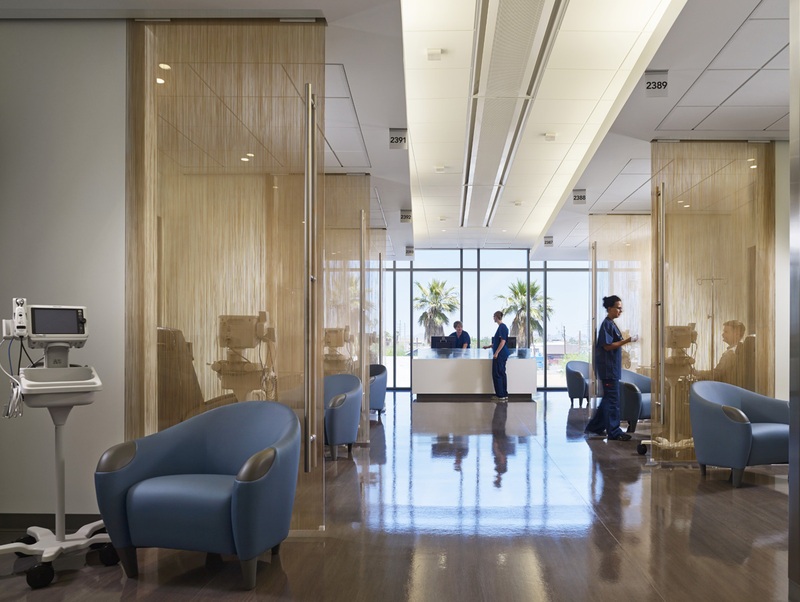 The primary purpose of the screen system is to reduce peak mechanical loads in the building. 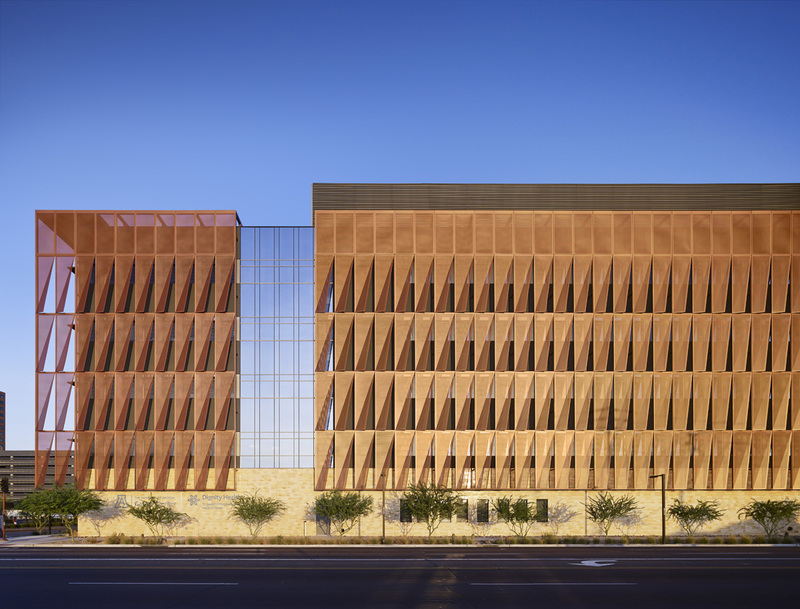 More than 10 variations of the assembly were studied by the architects, who were looking for a configuration that maximizes view and reduces glare, while properly shading the building. 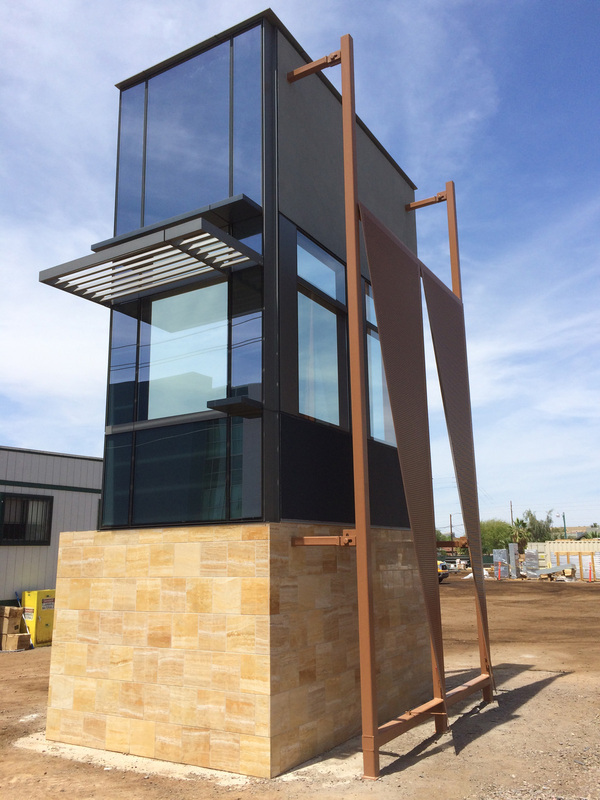 The project team was able to work with the fabricator from a very early point in the project, which allowed it to quickly optimize panel material, size, and configuration. 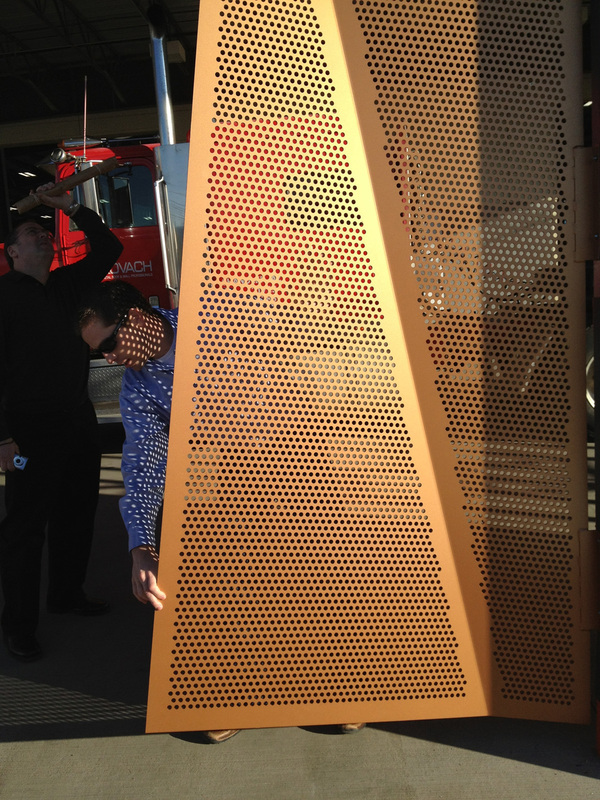 A full size mock-up of a corner condition further helped to inform detailing decisions. 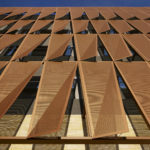 Two types of shading panels—one per orientation— were developed in response to solar angles. 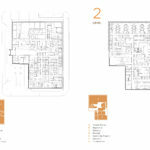 The repetitive geometry also contributed to a quick construction schedule. 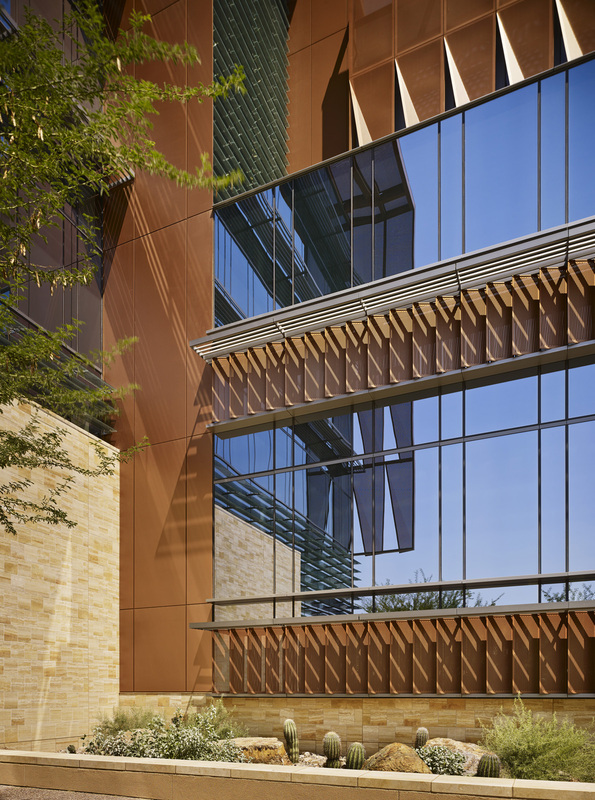 The north and south facades feature a curtainwall system from KT Fabrication with three types of custom louver designs integrated in it. 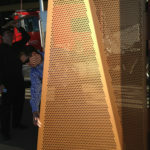 The most impressive is a series of canted glass fins incorporating a custom gray 60 percent frit patterning. 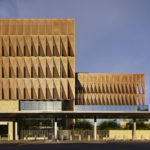 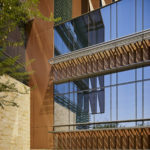 The glass louvers denote the central area and the main lobby of the cancer center, providing a low-glare interior environment. 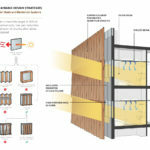 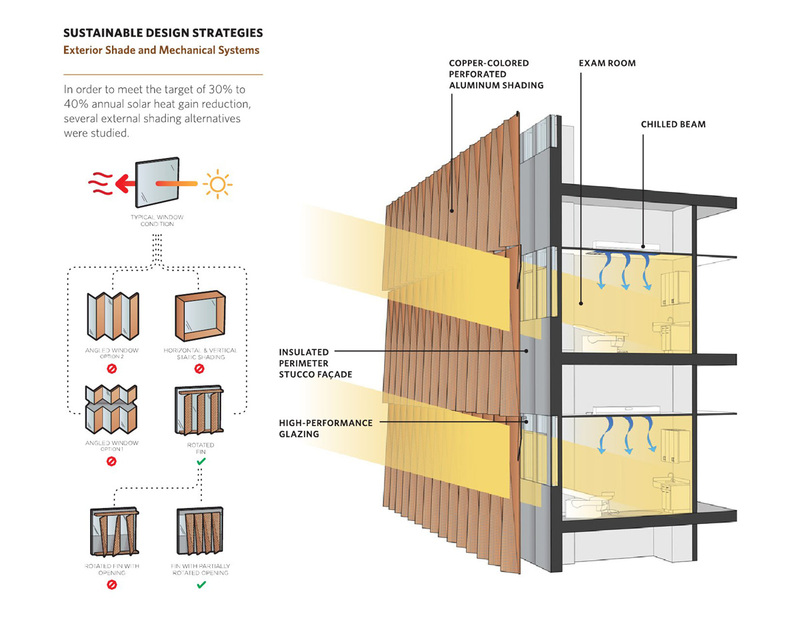 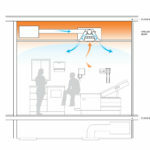 Chilled beams play a major role in the energy efficiency of the building, reducing energy usage by 23 percent. 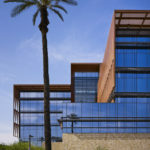 The system was a first for healthcare projects in both the state and the university. 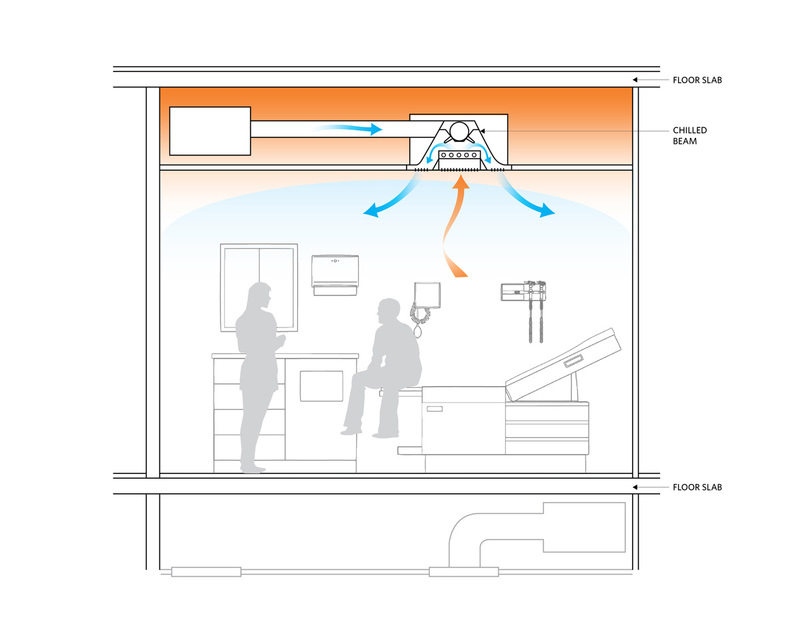 Chilled beams utilize piped water located in the ceiling to naturally (and quietly) heat and cool the air using convection. 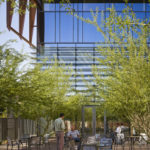 ZGF incorporates chilled beams into nearly every project it takes on, and has introduced the system into many projects around the country. 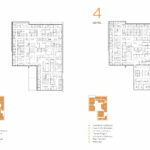 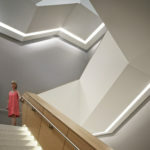 Beyond the facade, Memari said that one of the greatest successes of the project is an interior “communicating stair” that promotes walkability for staff and visitors through a carefully detailed, highly visible positioning within the building. 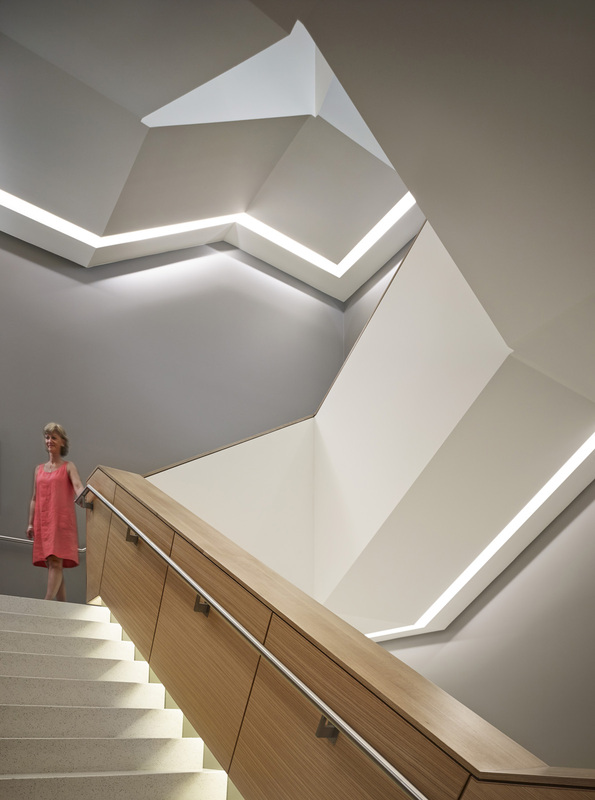 The stair reads as a folded sculptural element to connect the facility’s tall 16- to 18-foot floor plates. 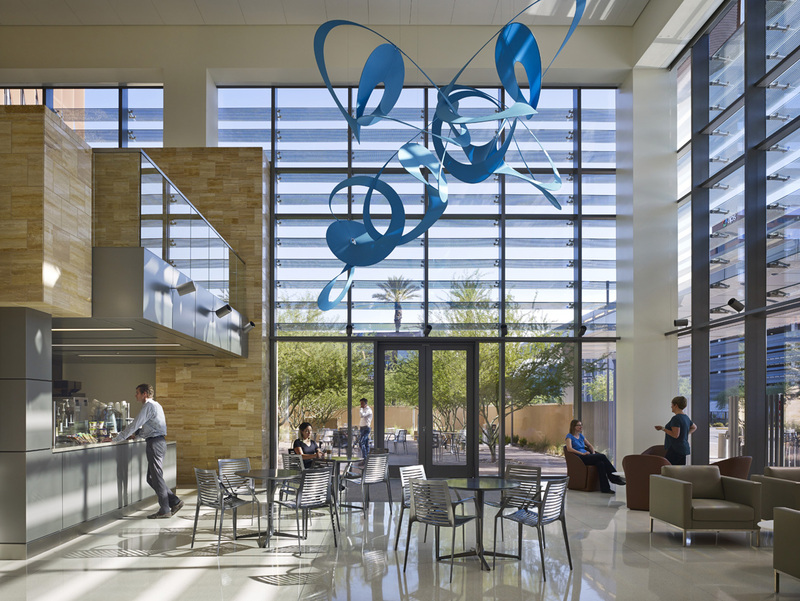 The project opened in August 2015 and recently received a 2016 AIA Healthcare Design Award.